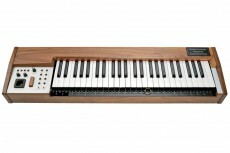 Based upon the Ondes Martenot the French Connection is a unique keyboard and perfomance controller. 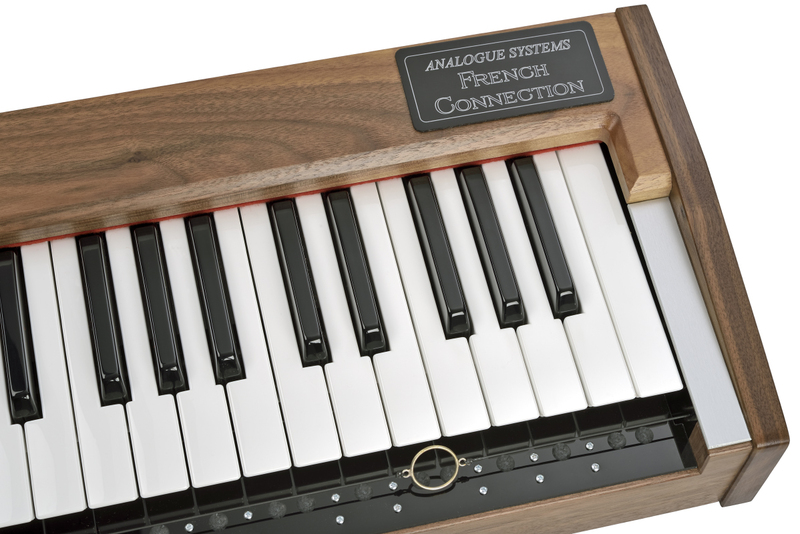 The French Connenction totally adopts the control mechanisms of the Ondes Martenot. 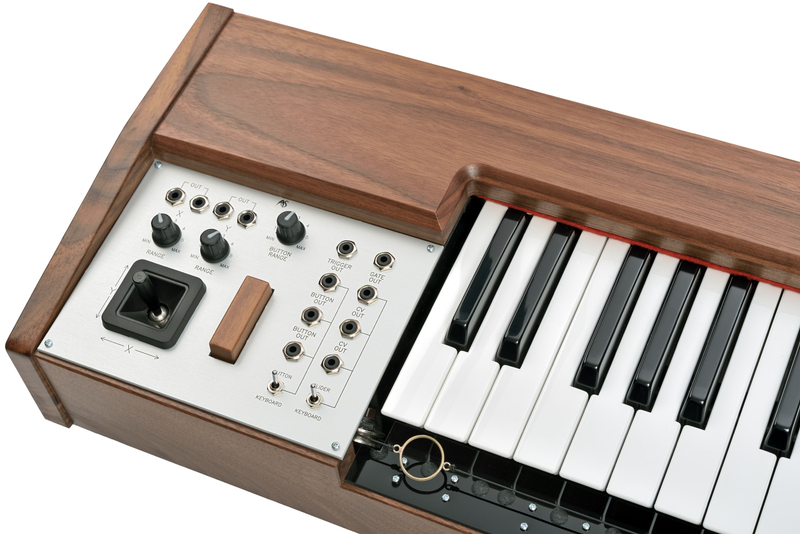 Instead of sound generators it offers several CV, Gate and Trigger outputs to control modular synthesizers. 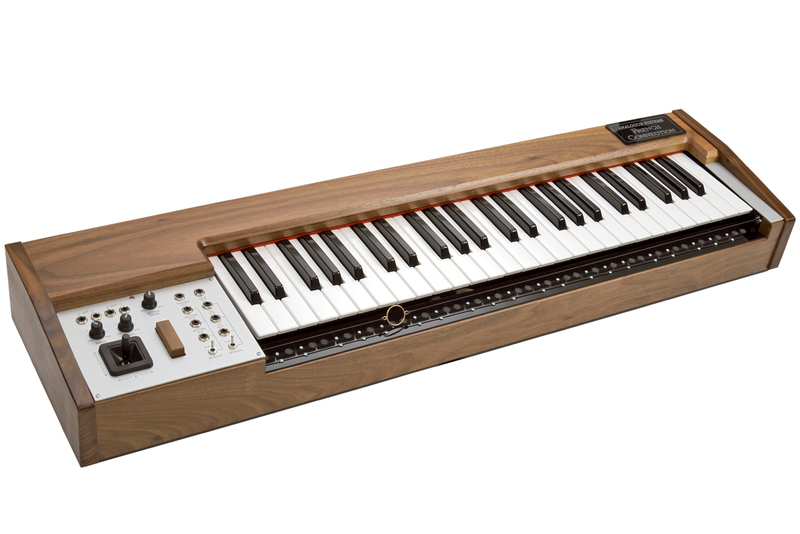 By placing a finger through the ring suspended below the physical keyboard, the player can glide smoothly between notes by moving the playing hand from left to right, creating a very natural vibrato in the process, while a pressure resistant wooden button offers great control of the amplitude. 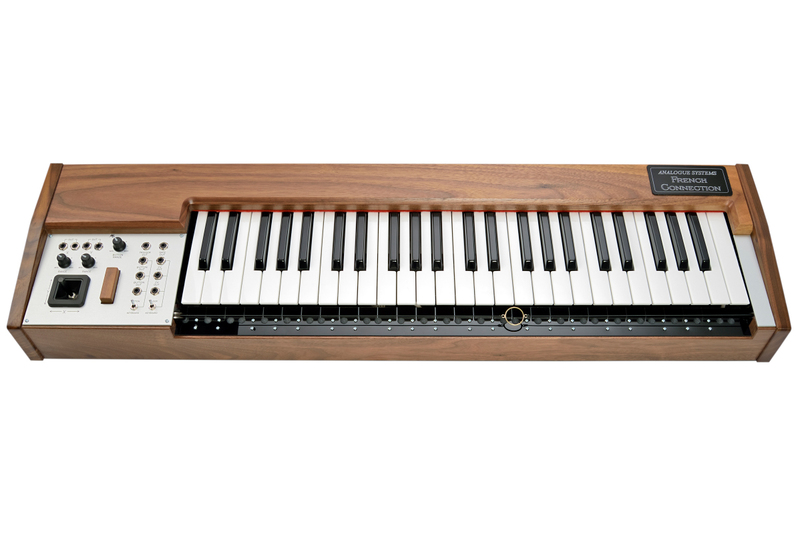 A VCO and VCA is basically all it takes to recreate a sound similar to the Ondes Martenot. But of course the CVs the Fench Connection is supplying can be routed to any other parameter in a modular synthesizer as well. 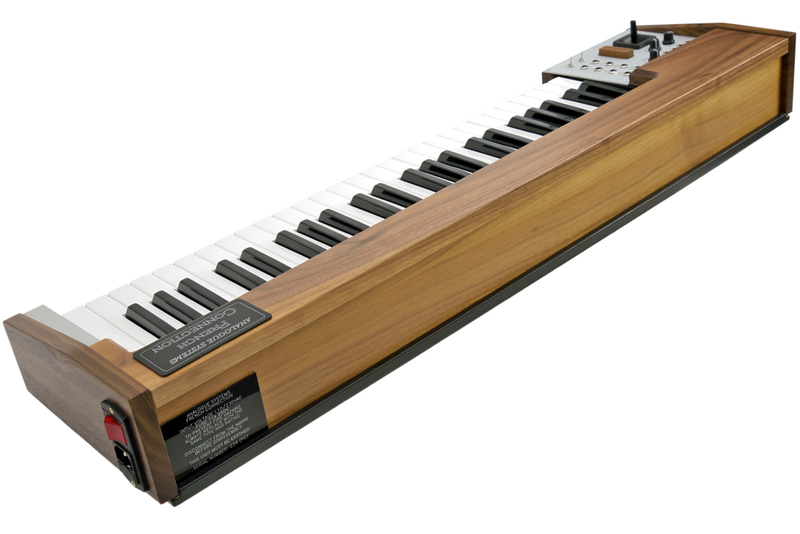 Additionally there's a joystick to offer even more control and the 49-note keyboard also adds CV/Gate and Trigger outputs.